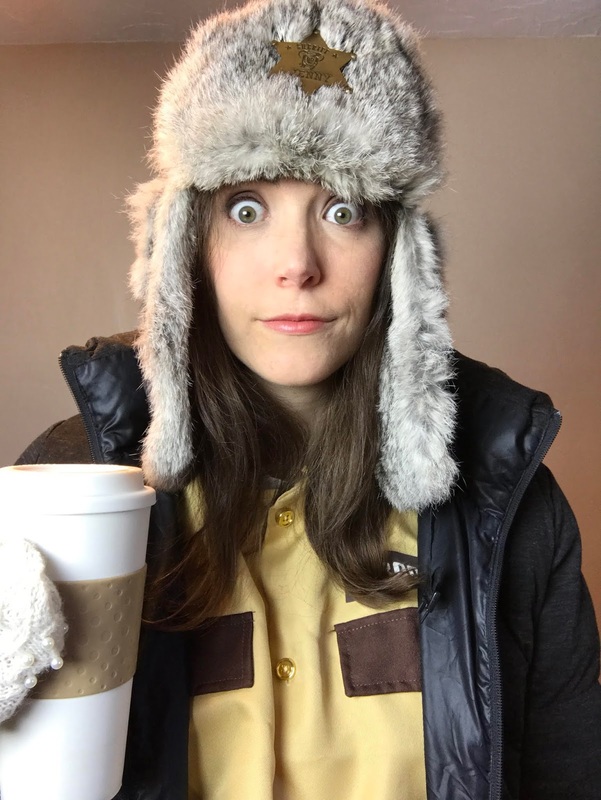 This was the easiest Halloween costume I've ever come up with. Honestly, I feel guilty even calling it cosplay since all I did was buy the sheriff shirt at *gasp* Party City. Everything else, down to the Disneyland 'sheriff' pin with my name and Mickey Mouse on it, I already owned. 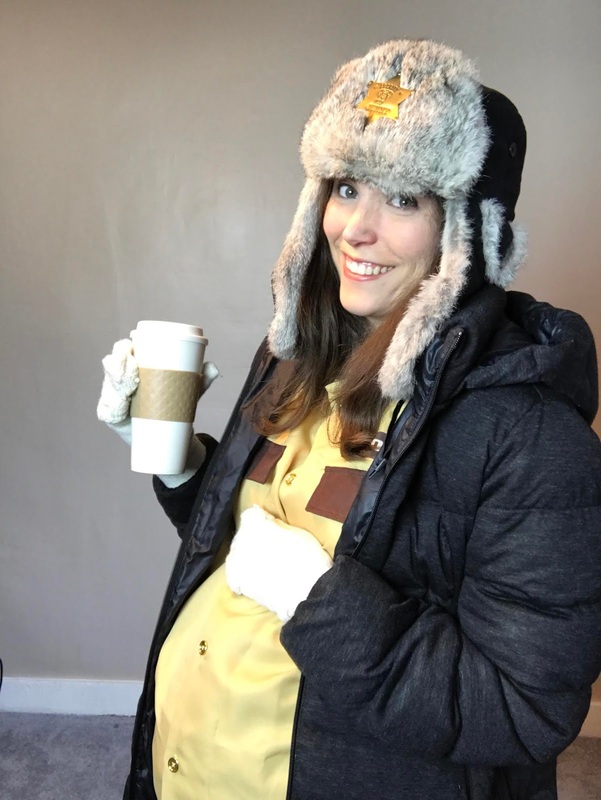 (Though I admit, I saved that hat from a donation pile knowing I'd want to cosplay Marge if I ever was pregnant during Halloween.) I knew I didn't want to dress up as an inanimate object, using my belly bump as a mere prop. I wanted to be a pregnant character and Marge is easily my favorite. She's just so great and her and her and husband Norm are one of my favorite movie couples of all time. 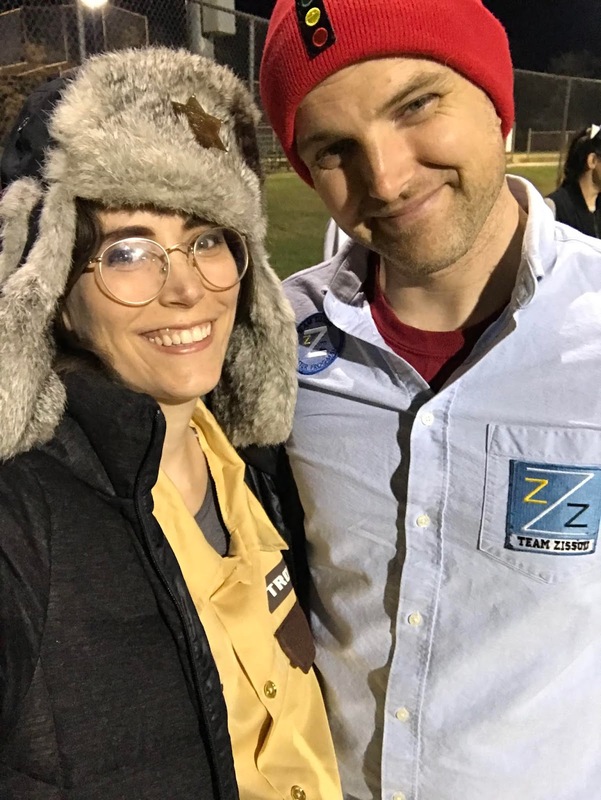 Halloween night was a kickball night, so the jacket was perfect for an evening on the field. (I don't play, I just watch and socialize.) 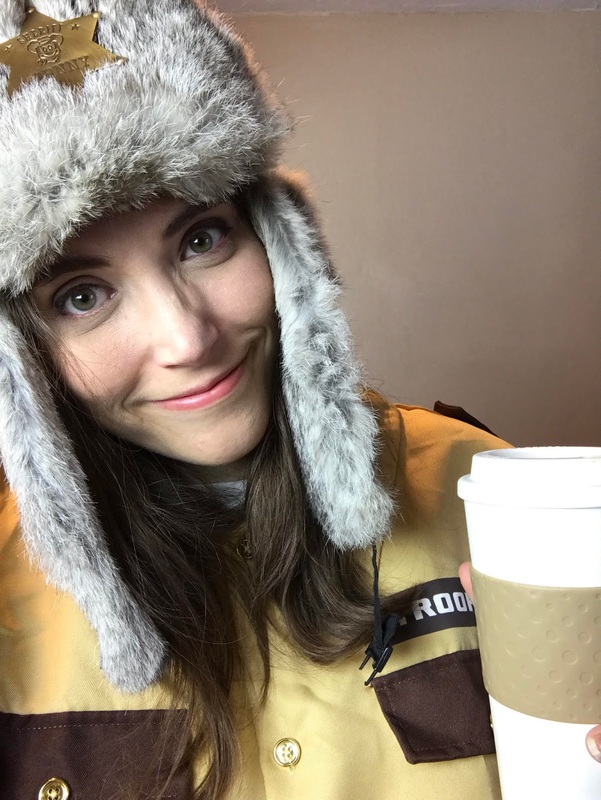 Jim wore his classic Team Zessu costume and I had hot cocoa in my coffee cup prop. It wasn't cold enough for the mittens, and honestly, the hat was pretty annoying. Overall it was a great Halloween, and I can't wait till next year when I'll have a little baby to dress up! 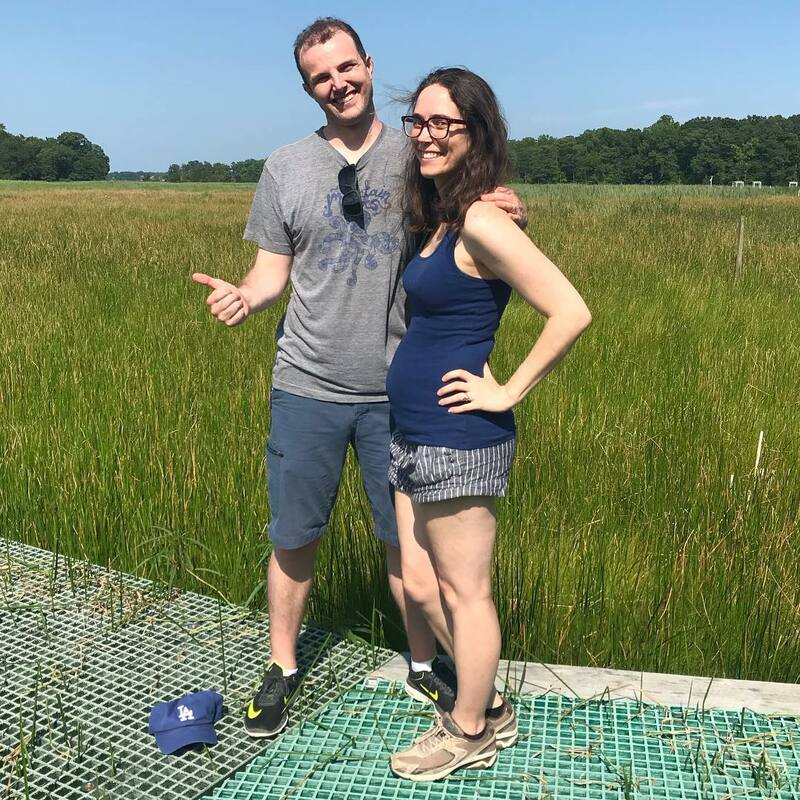 Back in July, we shared this photo with friends and family with the caption: "We helped out the annual GCReW Biomass census today. Lots of uh...things growing out here." Now, at the start of September, we're letting our news be public. We're gonna have a baby!! Word's can not express how excited and scared we are, but I try in a YouTube video...beacuse of course. I'm just so overwhelmed with love and excitement and I'm just amazed at how far Jim and I have come. We're gonna be parents!! I hope our news brings you a little joy today, and I hope you'll stay tuned for more! My Favorite Book! 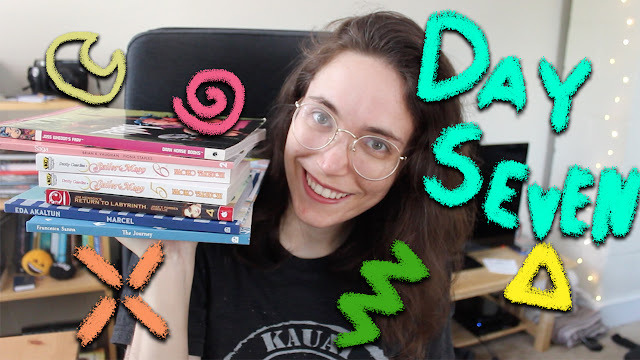 BookTubeAThon 2018 | Day Seven + Wrap Up! 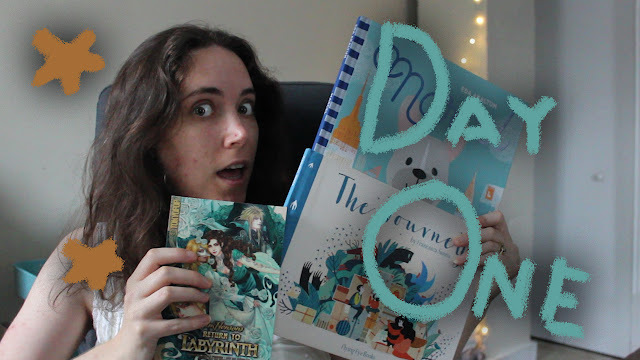 It's day seven and it's the last day of BookTubeAThon! 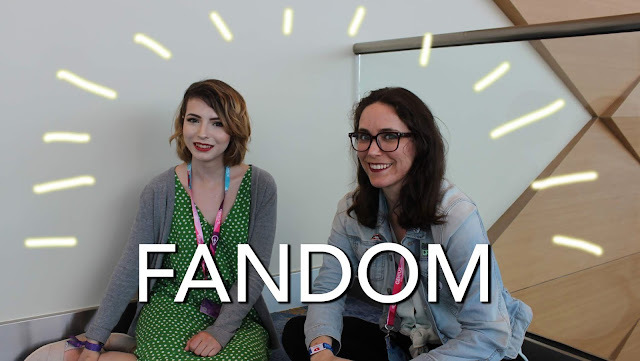 In the video below I do a quick wrap up of how the readathon went and talk all about my favorite book! 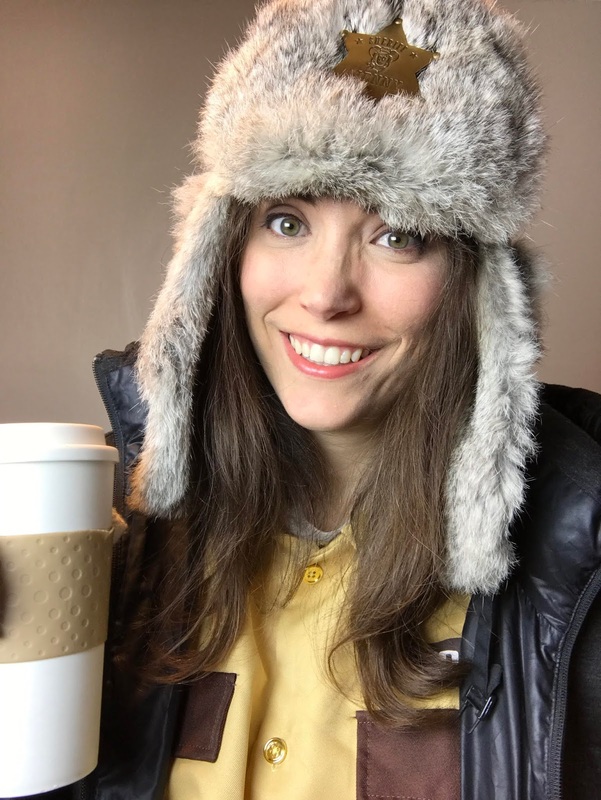 I hope you've enjoyed this week, leave a comment below with what your favorite video of mine that I did! That, or which of the books I read are you most likely to add to your TBR list! Happy Reading! Matching Spine Poetry! 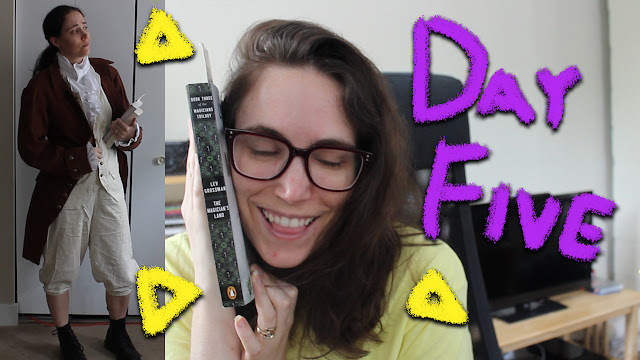 BookTubeAThon 2018 | Day Six! Day six of BookTubeAThon and I'm still slowly reading The Magician's Land and I made some beautiful matching book spine poetry! 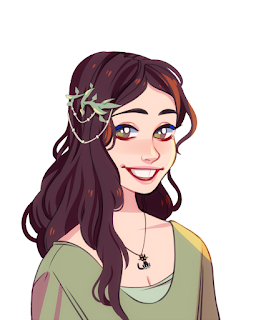 If you are enjoying these videos, consider supporting me on Patron! Please watch today's video below! Alexander Hamilton! 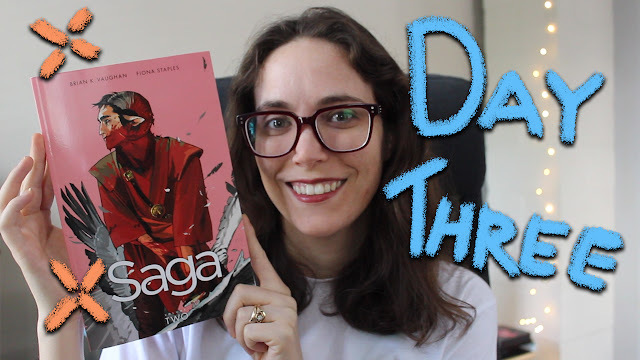 BookTubeAThon 2018 | Day Five! 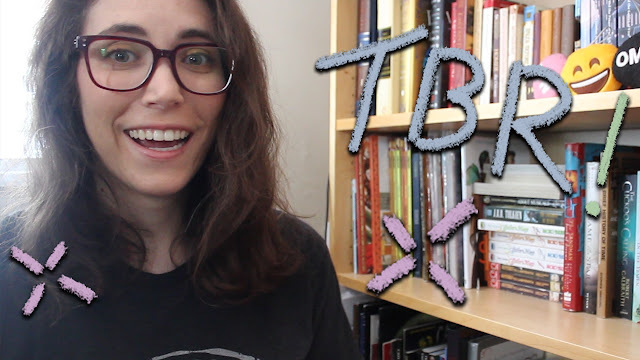 It's day five of BookTubeAThon where I give you updates on my reading progress of The Magician's Land and show off my Alexander Hamilton cosplay for the book fashion challenge. Please check out the video below! And to see more of my MEOWexander Hamilton cosplay, click here! Fray and Bookshelf of Books! 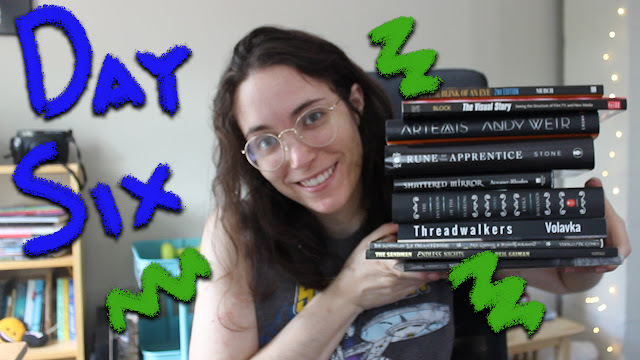 BookTubeAThon 2018 | Day Four! 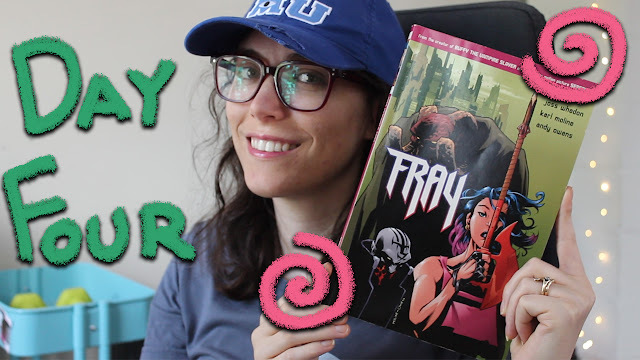 Day four of BookTubeAThon is all about Fray and making a bookshelf of books! 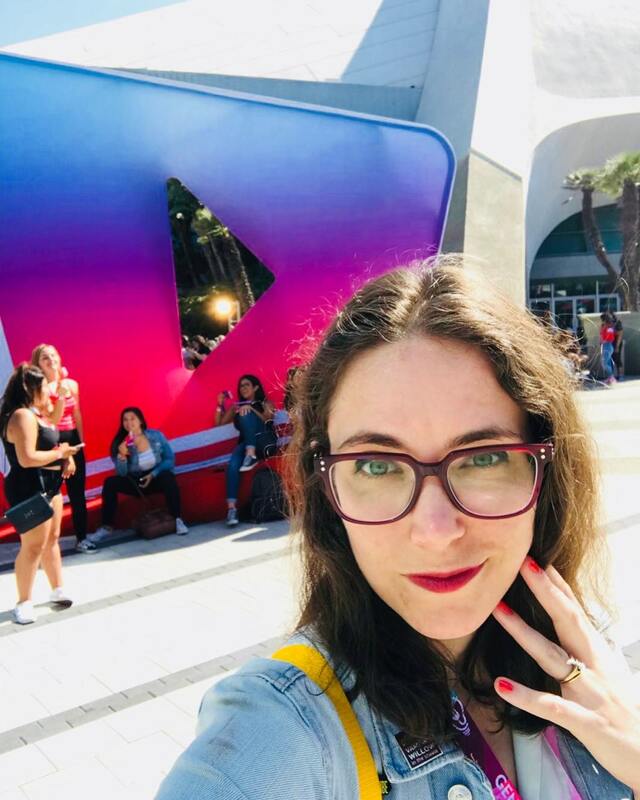 Are you following me on YouTube? If you subscribe you'll see these videos as soon as I make them public! Sailor Moon! BookTubeAThon 2018 | Day Two! 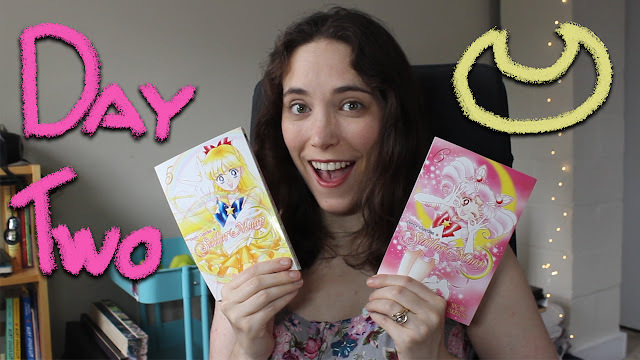 Day two of BookTubeAThon is all about Sailor Moon! 💖🌙 💖Check out the video below to see my review and my book tower for the challenge!! Two videos in under three days!?!! What am I, a career YouTuber? Not a chance, I'm just having a good week. 😂Please let me know if you'd like to see me do daily videos during BookTubeAThon (I kinda want to try, but I don't know. 😬) If you would like to help support my channel and blog, click here! Please check out the video below! 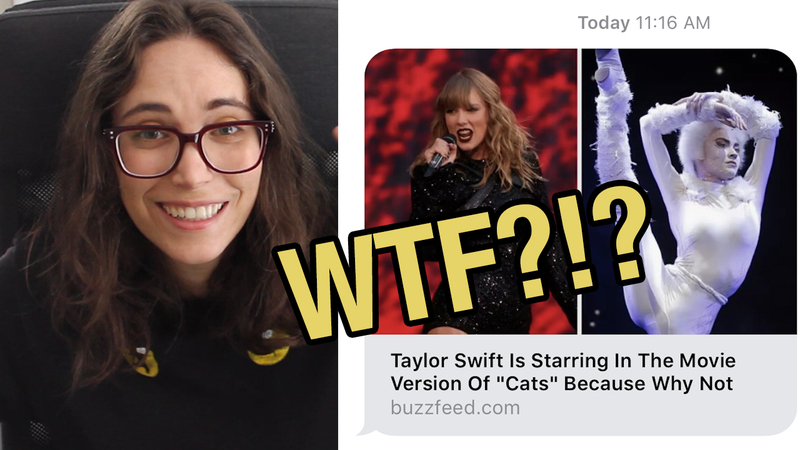 As soon as I heard the news about the latest casting in the Cats film adaptation...I had to weigh in. Please enjoy the video below! 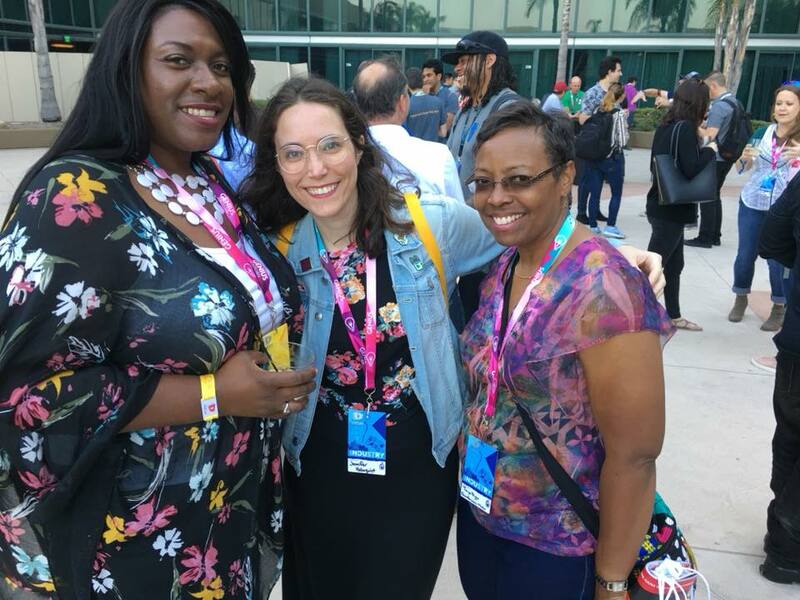 VidCon 2018 was so great! I explain my experience in the video, it is captioned. Scroll down for more photos!